Musically, tHe pEneLOpe[s], have found the ideal range to depict their universe, mixing guitars and machines, somewhere between primitive constructivism inspired by post-punk (Fiction/Factory/Mute/Beggars Banquet/4AD nebula), synthetic disco, and German electro-tek. A mighty alchemy - fed by their common passion for compound melodies and vintage electronic instruments - with breathtaking results: a fantastic remix of LTNO (Black ex-pacifiers); their exquisite debut Purity Ep (released on A-Traction), and blinding contribution as the only French representatives on DJ Hell’s latest ‘International DJ Gigolo' compilation. Simultaneously mechanical and vivid the “Steal This” EP, released on Lucy Lee, embodies the unique style of tHe pEneLOpe[s] with determination. On “Steal This”, tHe pEneLOpe[s], revisit “Alice” a classic track from the Sisters of Mercy's gothic era, reviving an energy put to sleep for 20 years, and rediscovering its original pulsation, guitar, and guttural voice. On the poppy “Do you Think…?”, every melodic phrase reveals a different shadow: aspects of Andrew Eldritch (this time his side-project The Gift), New Order or the Belgian EBM scene (A Split Second). The B-side plays out with ”The Train”, a mechanical ballet whipped by synthetic guitars and an avalanche of snare drums and handclaps, the duo’s self-confessed péchés mignons. Phonique invited me to play in Berlin about 7 years ago. His "King's Club" residency night in the WMF had a House sound which developed with time, while its roots stayed. I always appreciated the unique groove of his tracks and their particular atmosphere, especially in his first productions on Intim and Poker Flat. The three tracks that he composes for Lucy Lee (with his partner Alex Krüger, aka Dub Taylor) are all very powerful and revisit his sources to reveal a beautiful evolution and contemporary sound. 'The Night' ( A1) is certainly the strongest track, together with 'Deep Tool' ( B2), House fans who now find themselves in minimal should be happy. 'Similarity' (B1) presents another facet of Phonique, it's mood is more Electro-House but always melancholic. In three tracks we find this "particular spirit"
Michael Vater, aka Phonique, has been active in Berlin like few others ever since he moved there in the mid 90’s. He has always worked hard to bring new talent to Berlin, presenting many previously lesser known djs and producers including, Glen Gunner (street corner symphony/block 16), lil tony (nu spirit helsinki/guidance), alexkid (f-com/ovum), llorca (f-com/brique rouge), joakim (tigersushi) or ivan smagghe (blackstrobe/volga select). Phonique’s very successful parties and club nights have earned him the deserved reputation as one of Berlin nightlife’s nice guys. Phonique’s catalogue includes releases on Martin Landsky’s Intim recordings, Komfort Musik (Berlin), Seasons (USA), Brique Rouge (Paris), Crosstown Rebels (London), and notably on Steve Bug’s labels Poker Flat (for his more minimal productions) and Dessous (for his deeper side). Since his first remix for Doctorolive on the French label Bazoline, Phonique has been approached by numerous artists including Frankman (draft/fm), Soulcamp (Soulcamp), Le Tone (Naive), Funky Transport (Brique Rouge), Tonic Agents (Highgrade), Detroit Grand Pubahs (Poker Flat) and Erlend Oye (!k7). 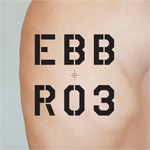 Lucy Lee Quality Recordings is proud to present “EBBRO” the new project of Gianluca Pandullo (Torino – Italy). Gianluca’s other projects include I-Robots (Irma) and Nemesi (Relish). I-Robots came into the light with the VV.AA. "Italo Electro Underground Classics", together with the Nemesi tracks, they have immediately gained support among the most important DJ’s around the world and from specialized music press, I-Robot’s “Frau” (produced together with Und from Trapez Records) was included on Ivan Smagghe’s Fabric 23 mix CD. Later, Kid Alex produced 2 remixes of the single for his Berlin-based label, Boys Noize. Earlier this year, Gianluca Pandulo also released “Cosmica” on Relish which was remixed by the famous neo-disco duo Lindstrom & Prins Thomas. Daniele Baldelli, (pioneer of Italian DJ's), produced a remixed version of the 12" "L'Asteroide", also on Relish. Pandullo's partner on the EBBRO project is DJ and producer Patrick Di Stefano who is part of the Turin based collective General Elektrik. He is currently working in Berlin, where some of his tracks were released by the Nachtfrequent label, together with Leo Cubanero. Patrick is also a a driving figure behind tonimusic.com, one of the first minimal net labels in Italy. lines of a contemporary minimalist sound, fit for the dancefloor but deeply rooted in the sophisticated German electro, dating back to the 70's and the seminal Kraut Rock period. Three 12"s, UNO, DUE, TRE, are scheduled for release, featuring remixes by Pier Bucci (Chile), Riley Reinhold (Germany) and Nick Chacona (US). 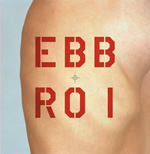 Time to be EBBRO ! Lucy Lee Quality Recordings is proud to present “UNO” the second single of EBBRO project of Gianluca Pandullo (Torino – Italy). I-Robots came into the light with the VV.AA. "Italo Electro Underground Classics", together with the Nemesi tracks, they have immediately gained support among the most important DJ’s around the world and from specialized music press, I-Robot’s “Frau” (produced together with Und from Trapez Records) was included on Ivan Smagghe’s Fabric 23 mix CD. Later, Kid Alex produced 2 remixes of the single for his Berlin-based label, Boys Noize. Gianluca Pandulo also released “Cosmica” on Relish which was remixed by the famous neo-disco duo Lindstrom & Prins Thomas. Daniele Baldelli, (pioneer of Italian DJ's), produced a remixed version of the 12" "L'Asteroide", also on Relish later included on Rub-N-Tug’s Fabric 30 mix CD and Dr. Lectroluv’s “007” mix cd. Pandullo's partner on the EBBRO project is DJ and producer Patrick Di Stefano who is part of the Turin based collective General Elektrik. Some of his tracks were released by the Nachtfrequent label, together with Leo Cubanero. Patrick is also a a driving figure behind tonimusic.com, one of the first minimal net labels in Italy. EBBRO takes the musical discourse that began with Nemesi one step forward. It starts from the I-Robots foundations, and moves along the lines of a contemporary minimalist sound, fit for the dancefloor but deeply rooted in the sophisticated German electro, dating back to the 70's and the seminal Kraut Rock period. Three 12"s, UNO, DUE, TRE, are scheduled for release, featuring remixes by Pier Bucci (Chile), Losoul (Germany) and Nick Chacona (US).